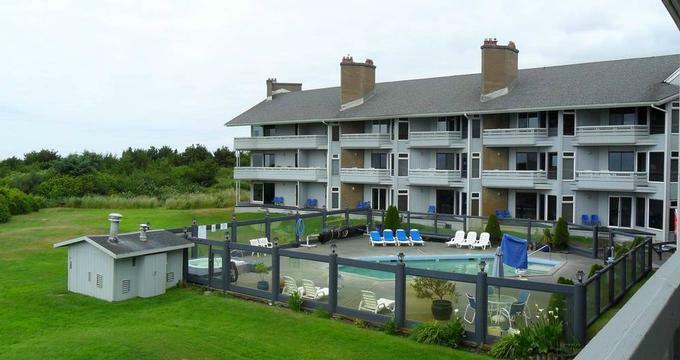 The Grey Gull is a charming bed and breakfast in the heart of Washington's resort community, Ocean Shores that boasts comfortable accommodations, first class facilities and amenities and perfect locations from which to enjoy all that Ocean Shores has to offer. Established in 1969 and just a short, scenic drive from Seattle or Portland, The Grey Gull offers 37 beautifully appointed and independently-owned condominiums with comfortable bedrooms, private bathrooms, fully equipped kitchens, elegant lounges with gas fireplaces, and breathtaking ocean or pool views. Each condo features personal touches by individual owners and has west-facing windows, balconies, and porches. 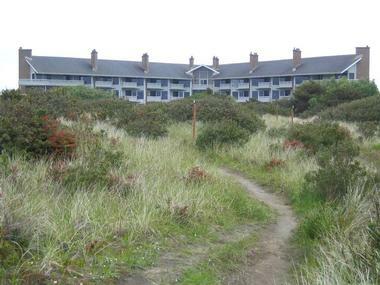 One of the oldest hotels in Ocean Shores, the ocean-side hotel, was designed to resemble the soaring wings of the seagull and is surrounded by rolling, green lawns and barbecue areas. The hotel has upscale facilities such as an indoor cedar dry sauna, an indoor games room, a communal lounge, and library, as well as a coin-operated laundry, ice and snack vending machines, and complimentary onsite parking and the hotel also has direct access to the beach. The Grey Gull offers a range of beautifully appointed accommodations in the form of condominiums, ranging from modern studios to full-size suites. Guest rooms and suites feature king and queen-size beds with crisp linens, luxurious comforters, and plush pillows, and private bathrooms with walk-in showers, soaking bathtubs, thick towels, and luxe bath products. Spacious sitting areas and lounges have comfortable sofas and seating with modern amenities, such as flat-screen televisions and DVD players, gas fireplaces, and fully equipped kitchenettes with glassware, silverware, and crockery. Private porches and balconies have outdoor furniture, Jacuzzis and barbecue/fire pits areas. 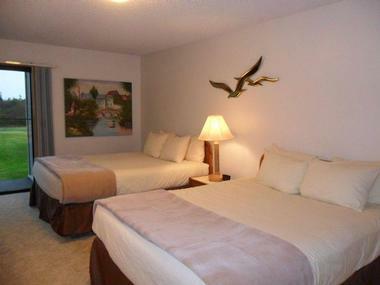 Accommodations are dog-friendly and boast beautiful views of the ocean and gardens. Independently-owned condominiums have fully-equipped kitchenettes with glassware, silverware, and crockery that allows for self-catering. 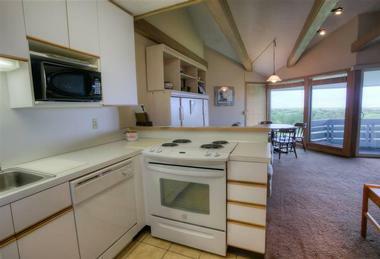 Ocean Shores has several restaurants and cafés that serve an array of cuisine for lunch and dinner. The ocean-side hotel is surrounded by rolling, green lawns and barbecue areas, and features upscale facilities such as a heated, outdoor swimming pool and hot tub, an indoor cedar dry sauna, and barbecue areas for picnics and outdoor dining. The hotel also has an indoor games room, a communal lounge and library, a coin-operated laundry, ice and snack vending machines, and complimentary onsite parking. The hotel has direct access to the beach. The Grey Gull offers a variety of on-site activities for children of all ages including a fully-stocked library with books, board games, DVDs and a PlayStation 3. Ocean Shores offers an attractive combination of small town life, beautiful natural scenery and an array of activities to enjoy and is a favorite destination for holiday-goers and vacationers from around the country. Surrounded by secluded old-growth woodlands, an 18-hole public golf course, and miles of fresh water lakes and canals, Ocean Shores is home to restful public parks, a variety of quaint shops, specialty stores, art galleries, excellent restaurants and cafés and hosts a range of regular events and festivals throughout the year. The spectacular natural scenery around Ocean Shores attracts a plethora of wildlife and birds and is an ideal location for bird-watching, whale watching, and photography opportunities. Ocean Shores activities include six miles of stunning sandy beaches, clamming, beachcombing, fishing, boating, and swimming. Other outdoor activities include hiking, mountain biking, horseback riding, kiting and golf at the nearby 18-hole Scottish link-style Ocean Shores Golf Course.